A baby pram is an inevitable item in the checklist of an expectant mother. Who wouldn’t want the coziest and the most comfortable baby buggy for her/his child? But, it becomes a nightmare when you land amidst the pool of baby prams and can’t decide what to choose. 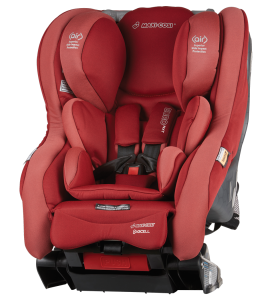 If we ask you that, you should buy Maxi Cosi Euro Convertible Car Seat, will not that be a straight answer to your dilemmas? But, you should not get blindfolded with a suggestion. Before barging in for any product, you must go through below checklist. Voila! It’s checklist inside a checklist. But, that’s how you learn to be a perfect mother right? Tip: Before going through the essentials, you must understand that, baby strollers come in various techniques and sizes. For example, the single strollers, combination or just for walking. Now, here comes another checklist to prioritize your choices. Ticking is better than getting confused right? Is the stroller newborn friendly? You can always check the details of the model you like. While reading the details, you will know better about the flexibility. Many strollers come with resting seat or bassinet type. This gives you the leeway to use from the day one. Many models out there may not support the head of the baby which is not only acceptable after 6-7 months. If you buy a more matured model, you may need to adjust the car seat to provide a head support. The most important decision is to figure out the actual usage of the stroller. If you go for a middle range pram, then it may not serve well in the narrow lanes. On the other hand, if you buy a really small one, you may not put your essentials like the purse, diaper or bag in it. So, deciding this will take you halfway through buying a fathomable baby pram. Even if you may find everything really perfect, in looks, in a stroll on the plain surface, it may not behave the same on bumpy roads. So, is it convenient to move around, or steer? While checking the compatibility, you can load some things on the pram and see if you feel comfortable. You must get a stroller which sails smoothly through any weather conditions, uneven traffic and crowds. Do not get lured behind inexpensive brands with your growing family. Rather, you can invest in a lavish pram which will be a great use of your upcoming children. Get accustomed to the complete specifications. Also, do not shy away from asking for a complete demonstration. You will get to know a lot about the assemblage of the pram. You can also consider a travel system to get an “all in one” set-up. In this, a child car seat is attached to the stroller. Another option is universal stroller which will allow you to behold the car seat at the bottom of the stroller. This provides an ultra-comfort to your baby. Now, here is a thing when both of the parents are going to use the stroller. By using an adjustable handle, it will become convenient as per the varying heights. This will be an extra aid for the one, who is taller. While taking care of every aspect, you can not put safety at the bay. Checking the points such as waist holder, crotch and shoulder straps will serve as a great life guard for the miniature.